A bitter political row has emerged in Homa Bay County’s ODM office after all elected MPs boycotted the launch of the Okoa Kenya campaign in the county. The launch which was single handedly organized by the area Senator Otieno Kajwang’ as the party’s branch chairman. 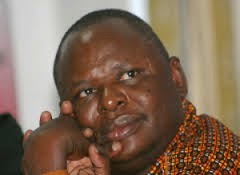 Kajwang’ is one of Cord leader Raila Odinga’s most trusted allies. The MPs who boycotted the function are Ms Millie Odhiambo (Mbita), Mr James Rege (Karachuonyo), Peter Kaluma (Homa Bay Town), Agostino Neto (Ndhiwa), Oyugi Magwanga (Kasipul), John Mbadi (Suba), and Silvance Osele (Kabondo Kasipul) skipped the function. 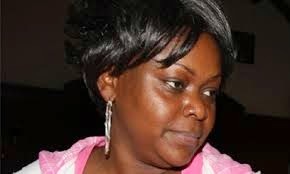 The others were George Oner (Rangwe) and Woman Representative Gladys Wanga. The MPs who are known to have fallen out with Kajwang and who had attempted to outs him as chairman and Monica Amolo as deputy chairman. 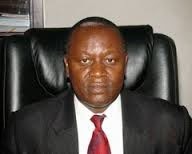 During the boardroom coup, former Rangwe MP Martin Ogindo was elected the new Chairman while Kasipul politician Charles Ong’ondo Were was picked as deputy. They were immediately inaugurated into office in a ceremony presided over by Karachuonyo MP James Rege, who is the ODM secretary in the county. The meeting held at Homa Bay Farmers Training Centre was attended by the branch delegate Achila Gogo, Constituency chairmen Evance Ndege of Kasipul, Ogina Nyabola( Ndhiwa), James Pete (Homa Bay Town), Collince Oure (Suba), Zachary Muga( Kabondo Kasipul) and Kennedy Marembo (Rangwe). Others were Karachuonyo Organising Secretary Okano Nyasanga and Mbita Constituency Secretary Narkiso Tuko. It now remains to be seen if the MPs will launch their own Okoa Kenya signature collection or boycott it.